Chances are good you don’t spend a lot of time thinking about your air conditioning system - at least until it breaks that is. When you come in from the heat and turn on your AC unit, you expect to be greeted with a steady stream of wonderfully cool air. But what happens when that cool air stops flowing? If your air conditioning system is not properly cooling your home, the culprit could be a leak. Leaking air conditioning units are all too common, and even a small leak could reduce the comfort in your home and force your cooling system to work harder than it needs to. You might think fixing a leak in your air conditioning unit would be a relatively straightforward process that a quick call to your local HVAC tech could take care of. 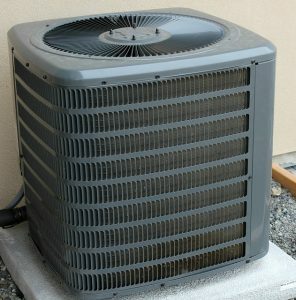 But unfortunately, in the current environment, fixing that leaky AC unit is not as simple as you might think. The reality is, we are facing a shortage of R22 Freon, the most critical component of many home air conditioning units. This shortage has led to a host of problems, including a price increase on repairs/Freon costs for homeowners in Wisconsin (and throughout the country). This translates into difficulties when repairing older AC units. If you have a home AC unit, watch out for the signs of a leak. While the reasons behind a Freon leak can vary from unit to unit, the warning signs are largely the same. You should suspect a Freon leak if your air conditioner is not cooling your home as well as it once did. This is perhaps the most obvious sign of a Freon leak, and it should not be ignored. In the winter, accumulation of ice on your pipes is another classic sign of a Freon leak, so check your pipes frequently and watch out for signs of ice buildup. While you are checking the pipes, look for dark residue, another warning sign of a Freon leak. Many Wisconsin homeowners are still unaware that R22 Freon is currently being phased out by the EPA. While the phase out period is currently underway, it has actually been going on for quite some time, now nearing completion. Naturally, this presents challenges for homeowners and air conditioning repair technicians. At Jackson Hardware Heating and Air Conditioning, we have been aware of the R22 Freon phase out for quite some time, and we believe it is important to educate southeastern Wisconsin homeowners about the issue so they can make decisions now and save money down the road. Why is there a R22 Shortage? One of the first things to understand about the ongoing phase out of Freon is the reason behind it. Freon may keep your home cool and comfortable, but the EPA has declared this chemical to be an environmental toxin. With a goal in mind of driving homeowners toward a more environmentally friendly alternative, the EPA has created a supply vs. demand situation which has driven up prices for the remaining R22 refrigerant. It’s simple economics - when the supply is reduced, the prices for the remaining limited supply go through the roof. The supply of R22 refrigerant has been steadily declining for years now, and the coolant will be completely phased out by 2020. This has created a rise in repair costs for AC units that are more than 10 years old. The good news, is there is already a replacement for R22, and this new refrigerant has been in use since 2000. Since then, HVAC technicians have begun installing newer AC units with R-410A, an environmentally friendly replacement for R22. Will the R22 Phase Out Affect My Repair Bill? Many homeowners are concerned about how the R22 phase out will affect their repair bill. Since the shortage of R22 is only expected to become more severe as 2020 approaches, the costs of this outdated refrigerant is predicted to rise even further. That’s why there is no better time than now to replace your old, inefficient AC unit with a newer, more energy efficient system, as this could sharply reduce your energy costs and make future repairs much more affordable down the road. Can I Swap Out R22 for R-410A in My AC Unit? Unfortunately, the answer to this common question is no. R22 and R-410A are completely incompatible (think putting diesel in a gas engine), so you cannot simply swap out one refrigerant for another. The decision to repair or replace an old air conditioning unit has historically been difficult, but thanks to the R22 phase out, it has gotten much easier. The cost of repairs for older air conditioning units will continue to increase as R22 refrigerant becomes harder and more scarce as time goes on. If your current AC unit is more than 10 years old and still uses R22, now is the perfect time to call Jackson Hardware Heating and Air Conditioning at 262-677-3477 for information on a new and more energy-efficient replacement. TIP: This handy energy savings calculator can help you see just how much you can save. It is important to note that many older AC units are less than 65% efficient, meaning that as much as 35% of energy costs are wasted. Newer units, by comparison, are far more efficient, resulting in lower cooling costs year after year. As the R22 phase out nears completion, it is important to look at your current AC unit and weigh the costs of repair vs. replacement. Since repair costs for old R22 units are only expected to rise, the odds are currently in favor of replacing your AC unit completely and opting for a newer, energy efficient air conditioning unit. What is the Typical Cost of a New Air Conditioning Unit? If your current air conditioning unit is more than a decade old, now is a good time to consider a replacement. The HVAC experts at Jackson Hardware Heating and Air Conditioning can help you determine what size unit you need, and provide complete installation and ongoing maintenance of your HVAC system. Call us 24/7 at 262-677-3477 and we’ll help you find the right unit for your needs. The cost to replace your old AC unit may not be as high as you think, especially when you consider the ongoing energy savings and lower utility bills you’ll enjoy. Whether your current AC system is brand new or more than a decade old, getting it repaired or replaced is no small decision. You need to know the company you hire has fair prices, decades of experience, and a strong commitment to customer service. At Jackson Hardware Heating and Air Conditioning, we bring more than 27 years of experience to every HVAC repair and installation. All of our HVAC technicians are fully certified, with vast experience repairing, replacing and installing many different kinds of air conditioning equipment. We provide our services in Jackson, Grafton, Cedarburg, Mequon, West Bend and all of Washington and Ozaukee counties. We are well versed in the current R22 phase out, and we are prepared with an impressive line of new and more energy-efficient Lennox AC systems to keep your home and family cool and comfortable. If you need emergency service for your current AC unit, Jackson Hardware Heating and Air Conditioning can provide you with the priority service you need. For priority service or emergencies, you can reach us by calling 262-677-3477. We are available 24/7 and offer 24/7 emergency service, as well as convenient appointments for less urgent repairs. If you’re ready to replace your old, inefficient AC system, Jackson Hardware Heating and Air Conditioning can help you. Just give us a call at 262-677-3477 with questions or to discuss your cooling needs and how a new air conditioning system can benefit you now and well in the future.